Songjeong Jukdo Park caught my eyes while hiking along the seaside road. I have no idea about this park as my destination was Songjeong Beach. Fortunately, I was happy to explore this cute hilly site, a beautiful addition to the popular travel destination in the area. The verdant color of the park is the one that attracted me the most. It is bedecked with various species of trees, flowering plants, bamboos, and shrubs that naturally decorate the hilly island. This feature makes it a wholesome and peaceful place to be at any time of the year. 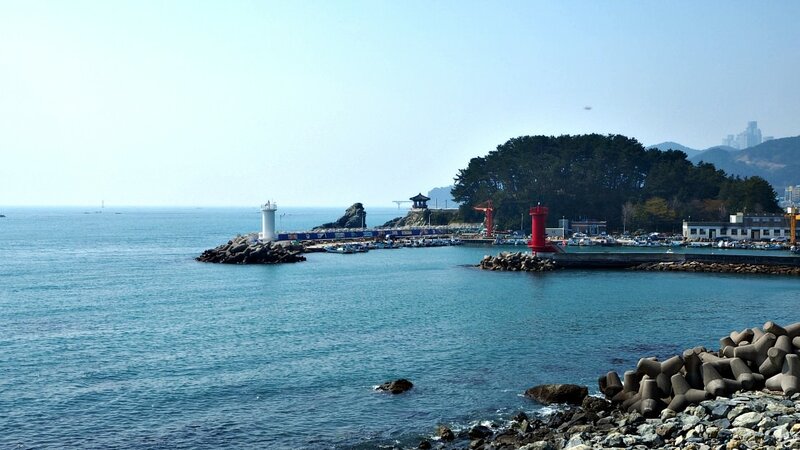 One can also travel directly to this park from Haeundae Beach area by either taking a bus or taxi (or private vehicle--see more of this below). Yes, the park has hiking trails for those who want to do a shorter and quicker hiking course. You can either go up and down to intensify your hike or just simply take the trail around the hill for a lighter hiking activity. While exploring or hiking the park, you can take time to rest and relax at some places with benches and beautiful sights from where you are resting. (Note that smoking and drinking within the park are strictly prohibited). 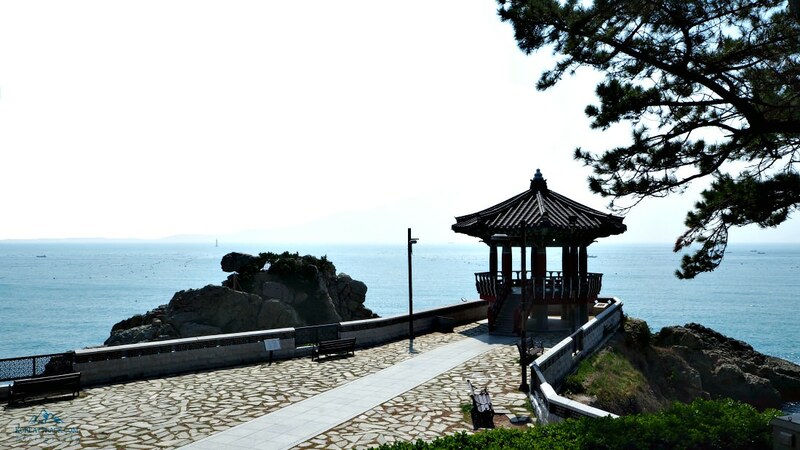 I enjoyed the vistas very much from the pavilion due to its very strategic position--views of Songjeong Beach, the telescopic sight of Cheongsapo Observatory, the rolling mountaintops that serve as the backdrop of the beach area. It was believed (or recorded I think) that Jukdo Island was used to be filled with bamboo trees. They were commonly used as materials for housing, fishing, and for various means among locals as they proliferate. That is why the top of the park is dedicated to that plant species with stone sculpture. Where I am coming from, the smell of the port, boats, floats, and seaweeds brought me back to my wonderful memories of my younger years. We used to go out with my grandfather and the whole family to fish with his boat and enjoy our fresh catch on it. The smell of the sea, the ‘fishy’ smell of the surrounding, and the cool breeze blowing me give me some sort of serenity and comfort. My words and expressions are not enough to paint this page about Songjeong Jukdo Park. One needs to see and experience the place to know what I am trying to describe here. I believe the photos I took can help. Anyway, besides the park, you can also explore other sights and destinations nearby. Some of the major ones can be found below. 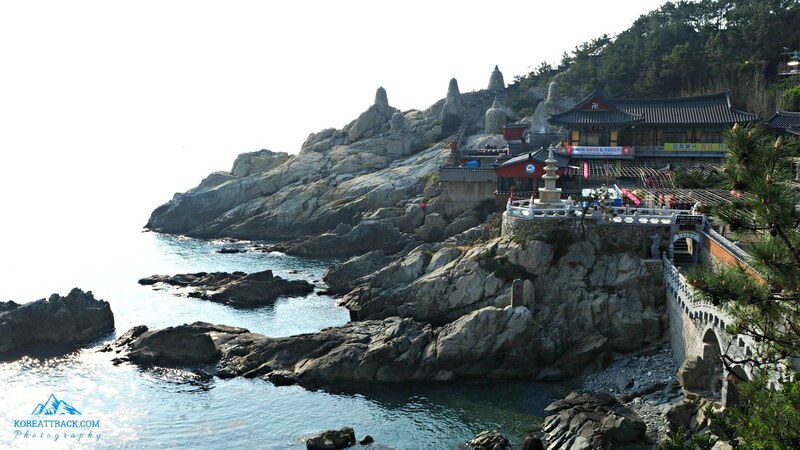 Songjeong Jukdo Park is located amidst great places for hiking and travel destinations. Walking along the road and trails along the shores is already a satisfying experience for a traveler. 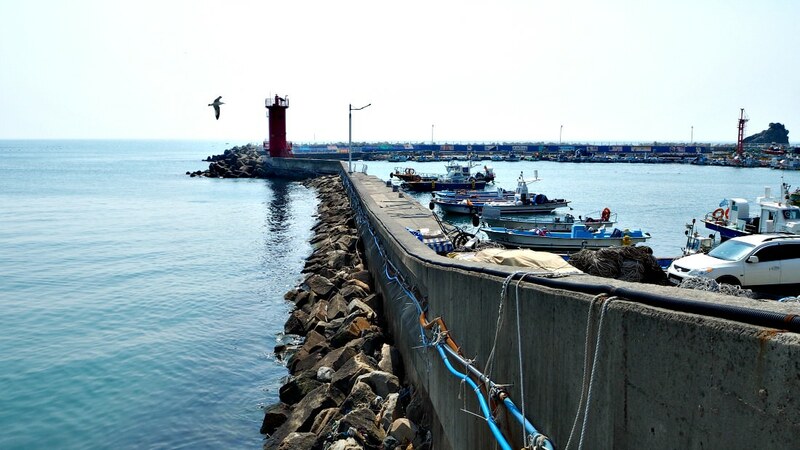 See this article for more best Busan City travel attractions. As I mentioned above, you can find various kinds of food near Songjeong Jukdo Park and in Songjeong Beach area. The place with packed with local restaurants, convenience stores, cafés, coffee shops, street food/drink carts, and others. You can try munching the chewy octopus (alive! ), or just try eating fresh raw fish. Some local dishes include meats and innards of pigs, chickens, pig feet, and others you may want to try. Of course, you can always get the famous and favorite Korean dishes: bibimbap, kimchijjigae, samgyeopsal, and bulgogi. 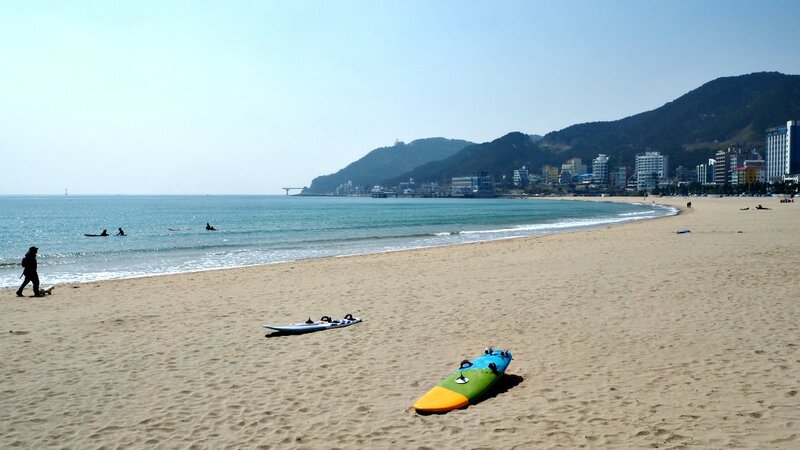 Of course, vacation and holiday places such as Songjeong Beach area are loaded with entertainment facilities. The famous ‘noraebang’ (or karaoke), bars, clubs, game rooms, and such entertaining and exciting (or stress-reliever places) are all here. Aside from the above, you can also try doing something muscle-flexing and motor-skill challenging activities on the beach. You can learn surfing (rentals are available), play beach volleyball, frisbee, jogging, or brisk walking. 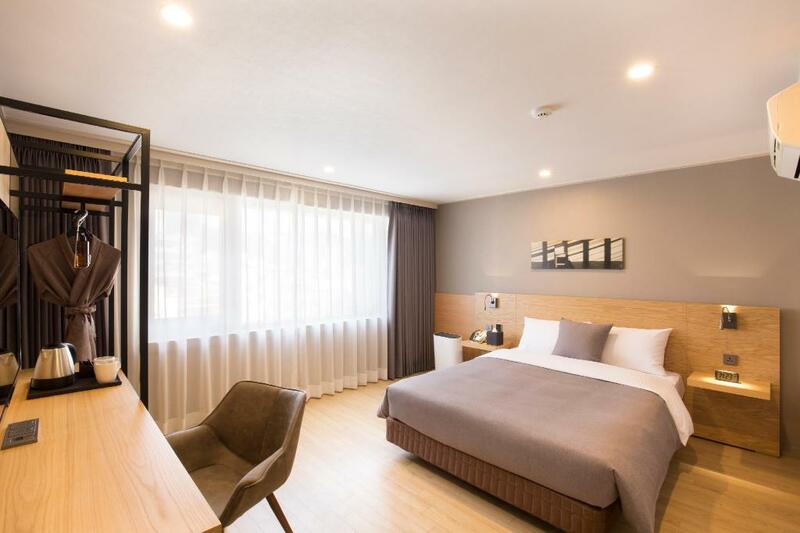 Since traveling to Jukdo Park could take time, and relishing your experience in the area needs time, you might want to stay in one of the accommodations in the Songjeong Beach area. If you think so (which I also believe worth doing), try to search for any accommodation or hotel located in front of Songjeong Beach. These hotels have fantastic vistas of the blue ocean. It has mesmerizing views of the sunset as well. 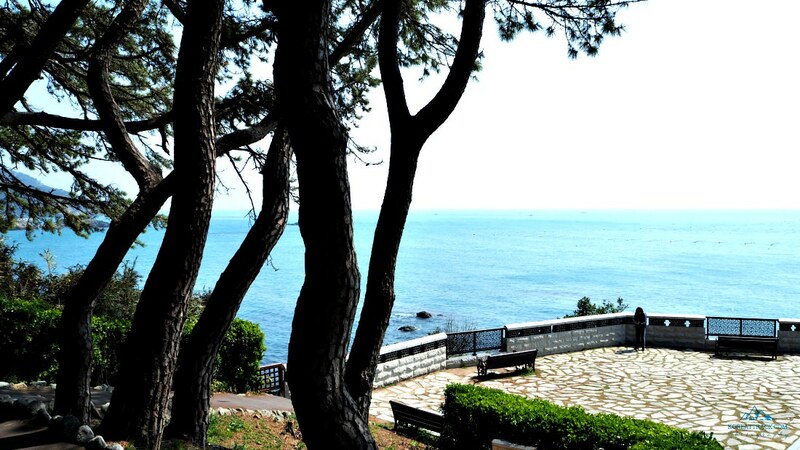 See more choices of hotels near Songjeong Beach and Jukdo Park area here. Try more choices among Haeundae Beach hotels if you want to stay here. Hotels being offered are mostly discounted, and I recommend visiting these places right before peak seasons, such as early Spring and definitely not during Summer. 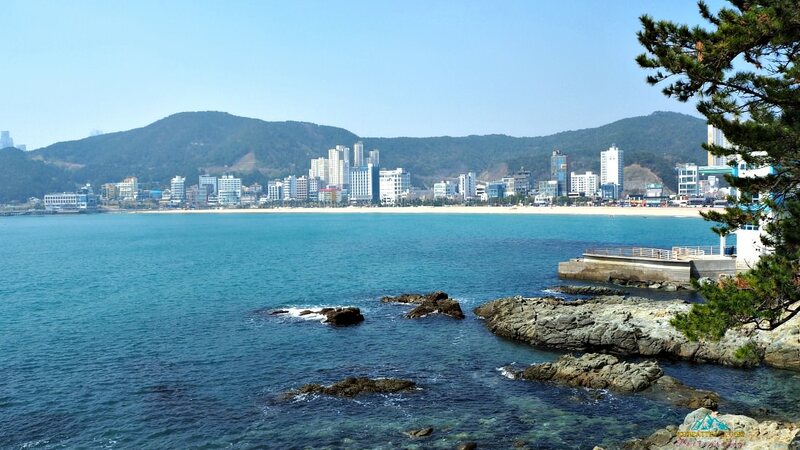 Enjoy searching your hotel either in Songjeong Beach (beside Jukdo Park) or at the nearby Haeundae Beach area. Metro Line 2 and get off at Haeundae Station and out from Exit 7. Then transfer to Bus 100 or 141 at a bus stop nearby the subway station. 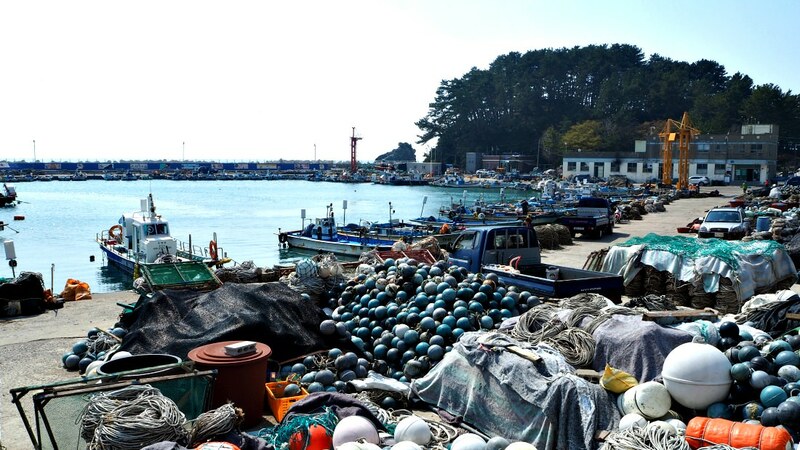 Get off at Songjeong Station and walk towards Songjeong Beach for less than a kilometer. While walking towards the beach area, you will see a hill with trees. That is Songjeong Jukdo Park. By car or taxi, it will only take around 15 minutes to reach the area (for approximately 10 USD). You can take a taxi (as I did) from the road of Haeundae Beach area, on the side across the hotels facing the beach and sea. Thanks for spending some of your time to read this article even just for scanning this. I hope you have an enjoyable journey.